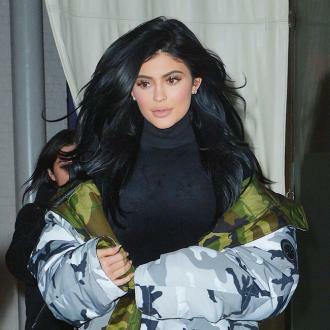 Kylie Jenner made a number of revelations about her pregnancy and parenting her daughter Stormi in a fan Q+A at the weekend. Kylie Jenner was ''surprised'' to have a baby girl because she was convinced she was having a boy. The 20-year-old reality star and her boyfriend Travis Scott became parents to daughter Stormi last month, and the brunette beauty has revealed she was shocked when an ultrasound scan told them they were expecting a girl. Despite being so young, Kylie insisted she wasn't ''afraid'' of giving birth because she knew her body's capabilities. The 'Keeping Up With the Kardashians' star had a ''perfect'' experience - though she did miss eating sushi. And the Lip Kit guru confessed to a ''strange'' craving for Eggo frozen waffles. Kylie also told her followers she'd gained 40lbs during her pregnancy, but later deleted the tweet. And after giving birth, Kylie knew exactly what she wanted to eat. The brunette beauty loves seeing Stormi growing and changing - but doesn't want her to grow up too quickly. While Kylie stayed out of the spotlight until after she'd given birth, she revealed he has ''tons'' of photos from her pregnancy. 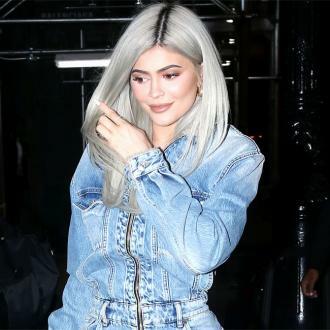 Kylie also revealed Travis was ''the best'' father, Kris was ''so supportive'' during her pregnancy, and she couldn't remember if she'd confided in Khloe or Kourtney Kardashian about her baby news first.